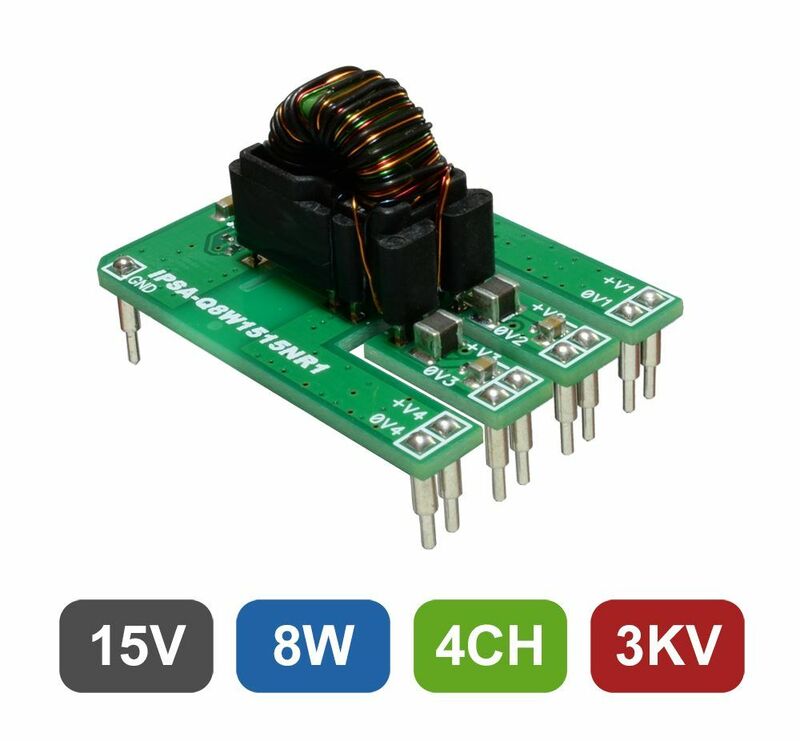 * Note 1: All ratings are given at Vs=15V and 25°C ambient temperature unless otherwise specified. * *Note 2: Non-regulated versions output voltage changes with loading, check datasheet for curves. * **Note 3: 500 Vac isolation between V2 & V3 in 4CH models.